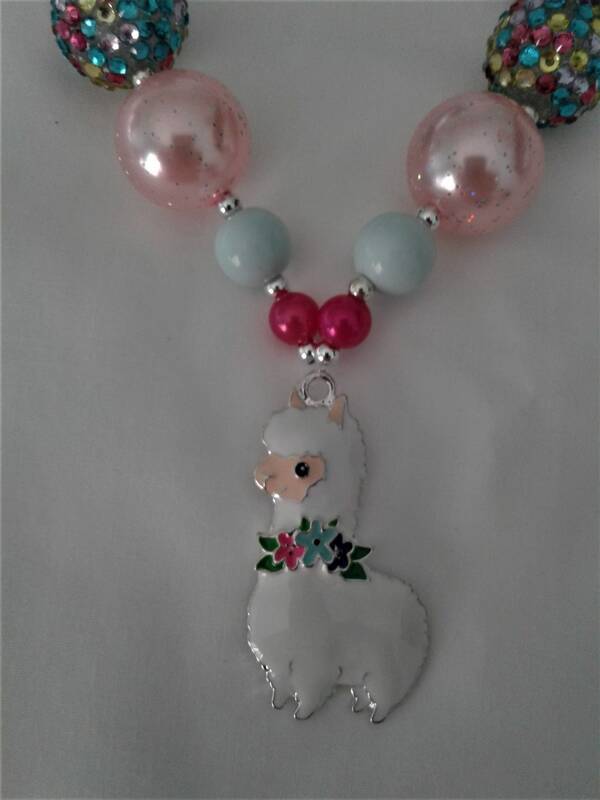 Cute Llama necklace or some may say Alpaca The necklace in a chunky bubblegum style. The girls love their bling. The necklace in made with beading wire for durability. 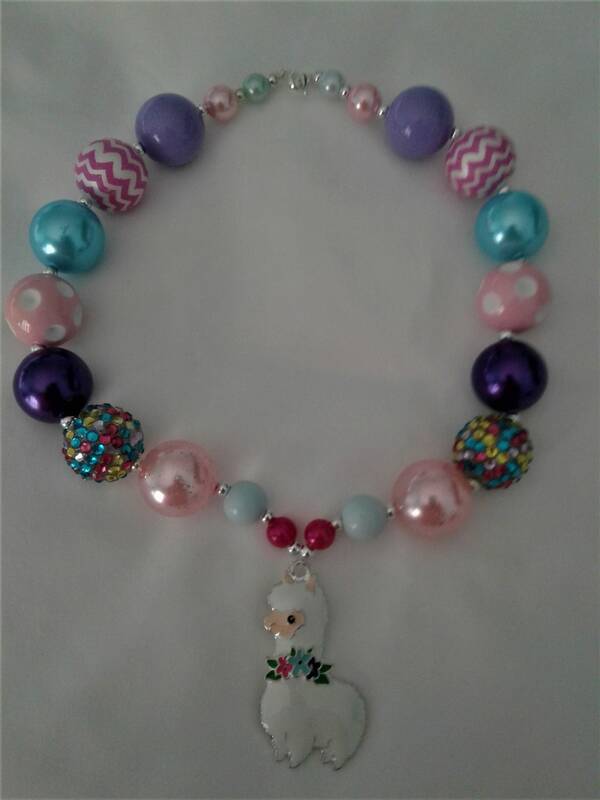 I use a variety of rhinestone,colorful,pearl and acrylic beads. The necklace is finished with a clasp and measure 17"without pendant. 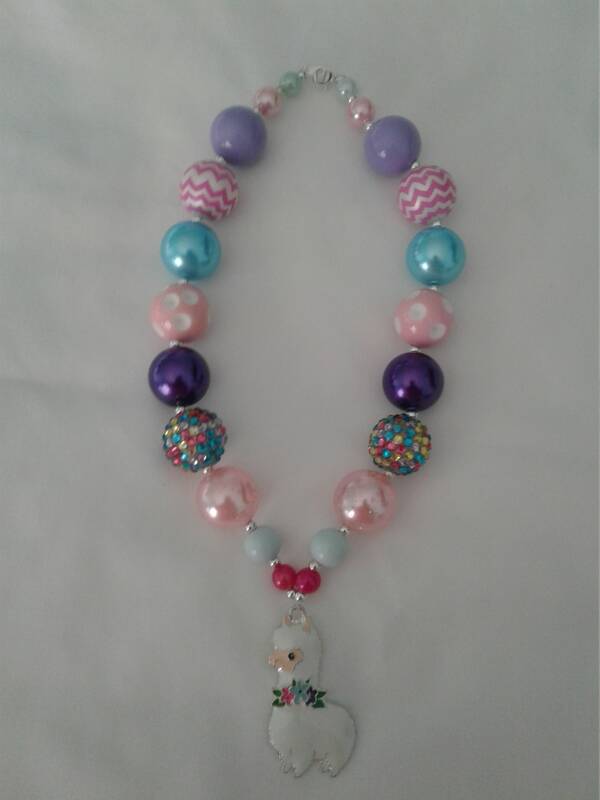 All of my necklaces fit toddlers to teens and some adults. You can request a special order. 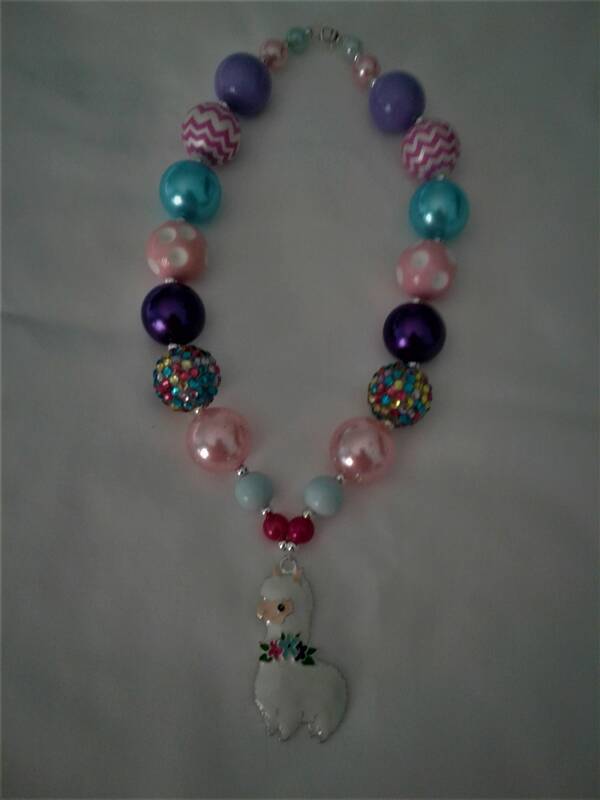 ll of our necklaces are handmade and one of a kind. As always all items are made in the USA in my Smoke Free studio.